PRWeek asked seven crisis communications experts how long a brand should wait to resume normal social media activity after a crisis. Their responses follow. There needs to be a transition period between social media channels adjusting from content in addressing the crisis to going back to "business as usual." It depends on the crisis and not self-inflicting further attention on a potential non-issue. Sometimes a simple statement with some quiet time afterwards to resume "commercial broadcast" is appropriate. There are no hard or fast rules. It's about the reading the situation and reading the stakeholders. It's quite the balancing act that requires ongoing active listening and a level of humility. In general, I would say social media is a powerful and immediate way to respond to the media and the public during a crisis. The chatter on those channels should be focused on the crisis, not something else, particularly positive news. That would be a huge mistake because the company should be engaged with dealing with the crisis – not distracted. When the story has run its course and it is no longer dominating the headlines then it is appropriate to transition to other things. There is no magic formula for this. If the story is not making headlines anymore, moving on is appropriate. 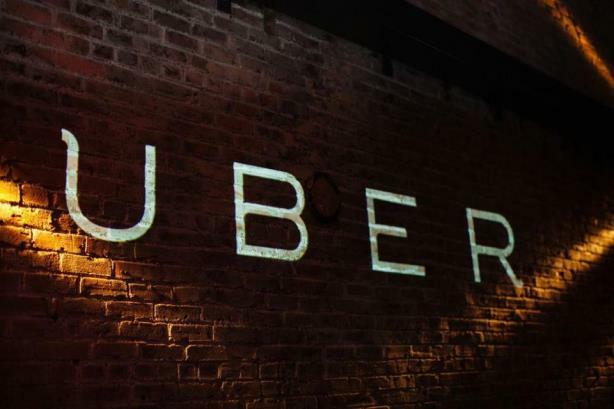 If a company such as Uber is active on social media, it should remain true to its personality and continue its activity on social media platforms throughout a crisis. But its messages need to change to reflect the nature of the crisis. In the case of Uber, it should be talking on social media about its security procedures and its processes for screening drivers. It should be discussing the ways it is improving passenger safety and demonstrating compassion for the victims of the recent shooting rampage. Going mute online isn’t an option for companies like Uber, Whole Foods, FitBit, Southwest Airlines, and so many others that have built their brand on the transparent conversations that take place on social media. There is no prescribed amount of time. Uber needs to continue listening to conversations taking place on social media. Is news of the tragedy still trending? Are those families and loved ones impacted still publicly grieving? And then there are the public triggers for news coverage around which Uber should avoid posting or tweeting: court dates, funerals, etc. Even after it begins tweeting as usual, Uber has to account for a possible trial, sentencing, and the tragedy’s anniversary moving forward. Better to be silent on social media longer than some may prefer than to post or tweet something that is perceived as insensitive or tone-deaf. It's never a good time to go dark on social media. Platforms such as Twitter, Facebook, and Periscope are critical links between brands and the general public. Once a company has its messaging and strategy in place, these channels should be activated with the goal of informing the public, addressing customer concerns, and monitoring the conversation online. Running for cover when times get tough sends a message that there’s no communications strategy in effect and that the company is in damage control. Uber was wise to communicate its initial statement via social media, but there’s been a drop-off ever since. Rather than flipping the switch, the company could be using its platforms to remind customers and the media about the measures it takes to keep them safe, from conducting driver background checks and tracking driver performance, to providing users with driver profiles in the interest of transparency and allowing friends and relatives to track a car’s location and ETA. I don't believe a company should ever "go mute" on social media after a violent act. The company should be responsive to people's questions and concerns online immediately. I do recommend a company carefully consider the possible backlash of continuing social media marketing campaigns in the wake of a crisis as if nothing has happened. When to resume "normal" social communications will be a judgment call, based on the severity of the situation at hand. There’s no one-size-fits-all answer. Each situation and company is different. But this is well known: in a crisis, social media offers a company one of its most powerful, nimble, and effective channels for response. Social media silence in the face of a crisis is a sign of a company that is not in control of its organizational response or communications efforts. During that time, the company should view it as an opportunity to share important information about the event or the response. The leadership and communications teams should know what its customers expect and when the crisis is well enough in control, then the company can focus attention on resuming and maintaining their standard online presence.